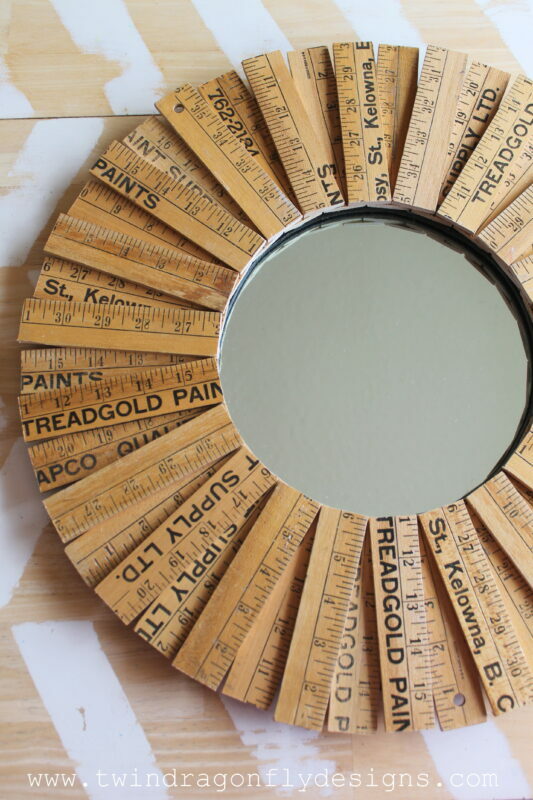 Transforming a fabulous find from the thrift store is the ultimate DIY. It can sometimes take a lot of vision to see how one persons trash can be made into another persons treasure. 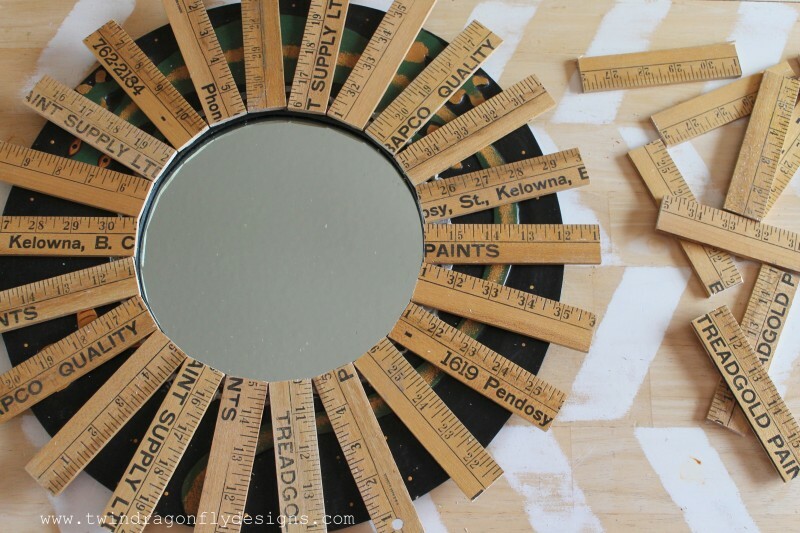 Today that vision becomes a bit clearer with this easy DIY Yardstick Mirror! 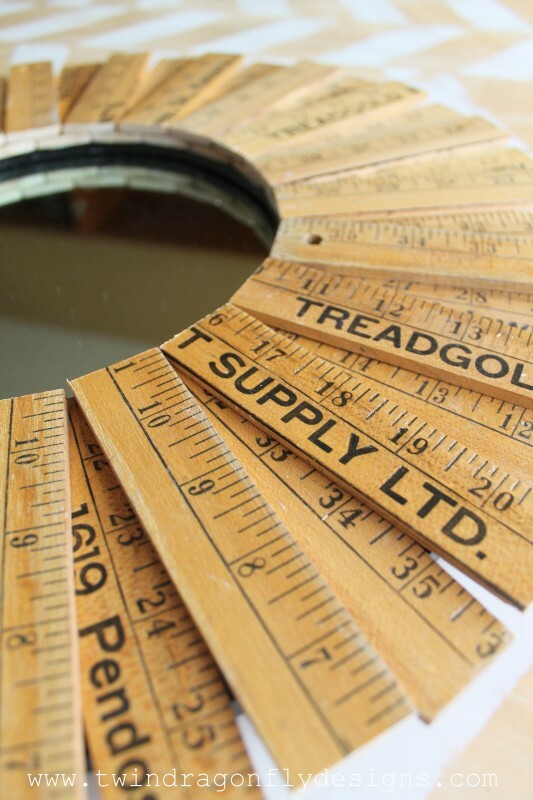 For this project you will need at least seven yardsticks. I found these ones at my favorite vintage shop, Zangbell & Gill. If you are local, you really need to check them out! I love all of their retro home decor. 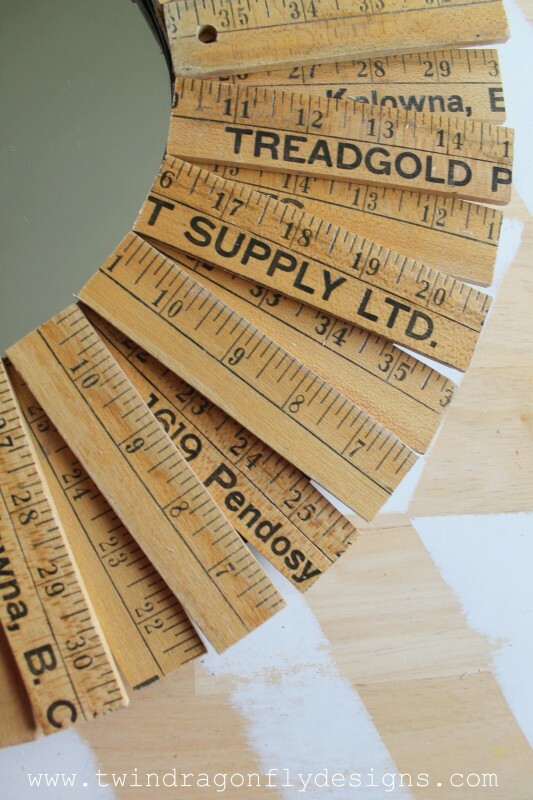 You can purchase new yardsticks at your favorite home improvement store or even use wood shims to get the same effect. 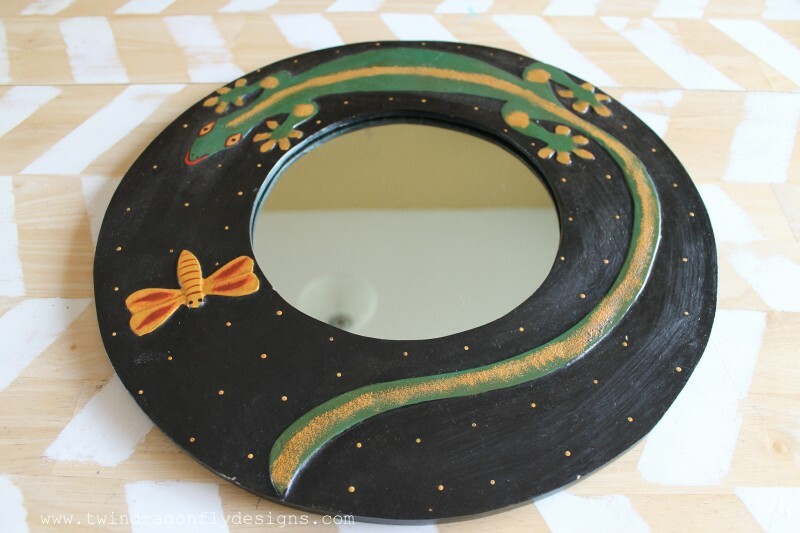 You will also need a circular mirror to complete this project. 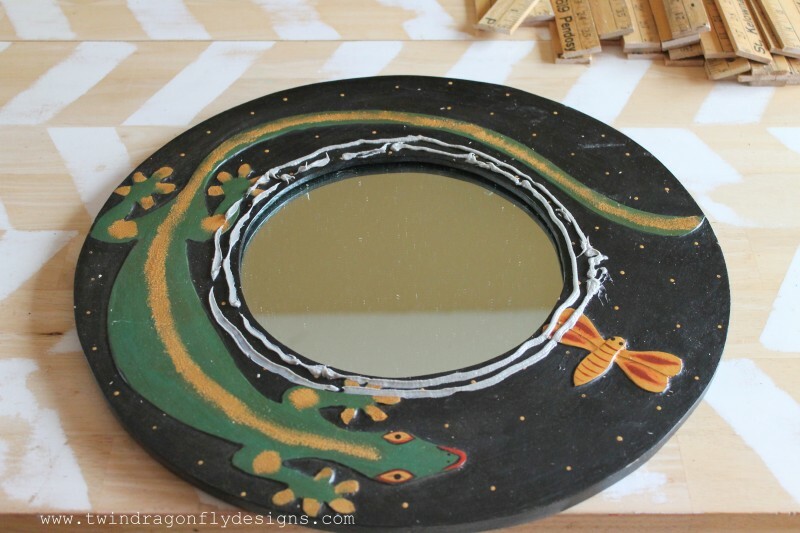 This is a mirror that I have been intending to upcycle for a long time! I am so glad that I found a reason to get this project started. You could also purchase a new round mirror from Michaels. I used an 8″ mirror with a 16″ frame. When I am looking for home decor items to upcycle I head straight to Value Village. I find that they have the largest selection of housewares to look through. 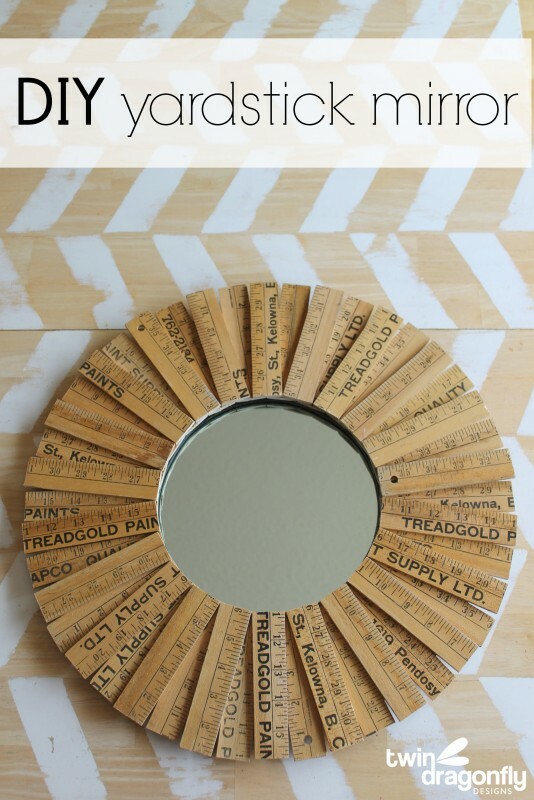 Be sure to check out the picture frame aisle for mirrors that may be worth repurposing. 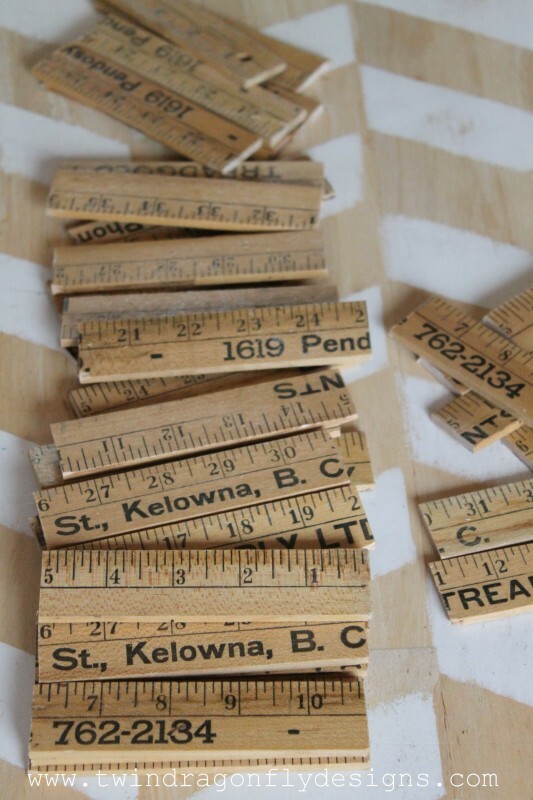 Begin assembly by cutting the yardsticks into 5″ lengths. Seven yardsticks will yield 49 pieces of wood to adhere to the mirror (you will need approximately 44, 5″ lengths to complete this project). 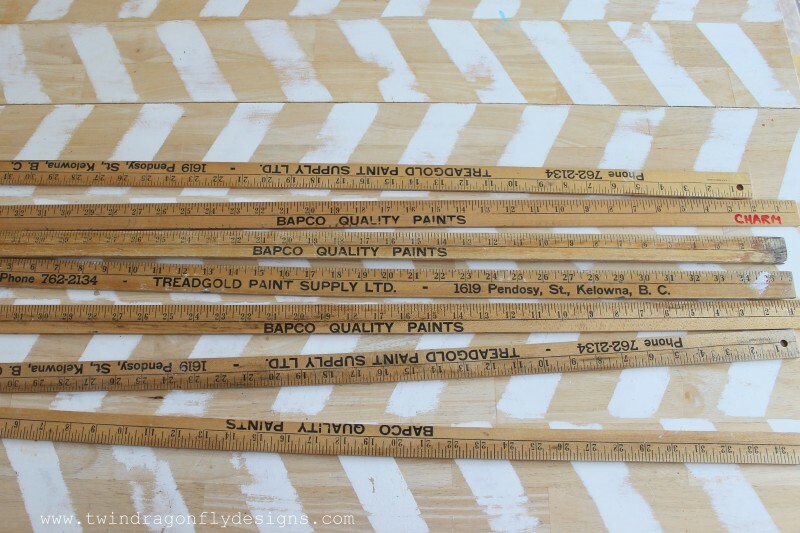 I love that these vintage yardsticks that I used are from a local and historic paint store, Treadgold Paint Supply. I tried to keep some of the unique details on the yardsticks to showcase in the mirror. 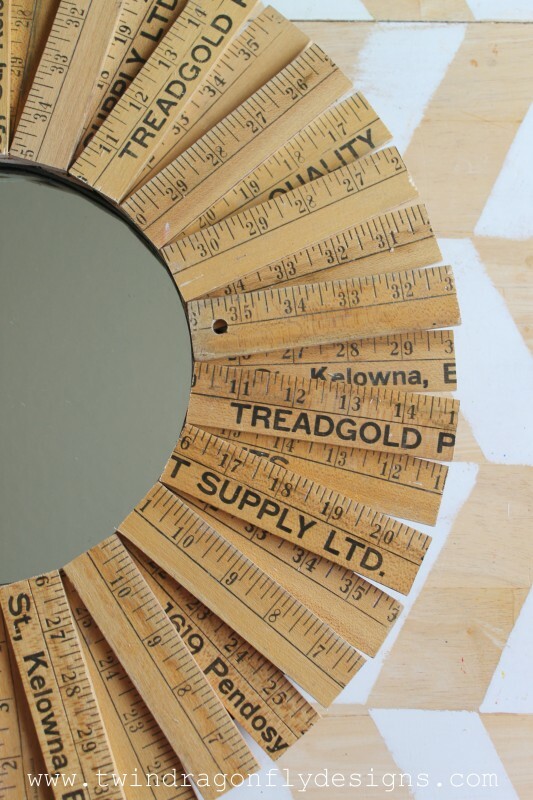 The next step is to glue the yardstick pieces to the mirror. You should check out the video on Instagram for a cool look at this process. I used No More Nails adhesive to glue the wood pieces to the mirror. I like this glue because it stays tacky for a while so that you can move the pieces around but when it dries it is super strong. 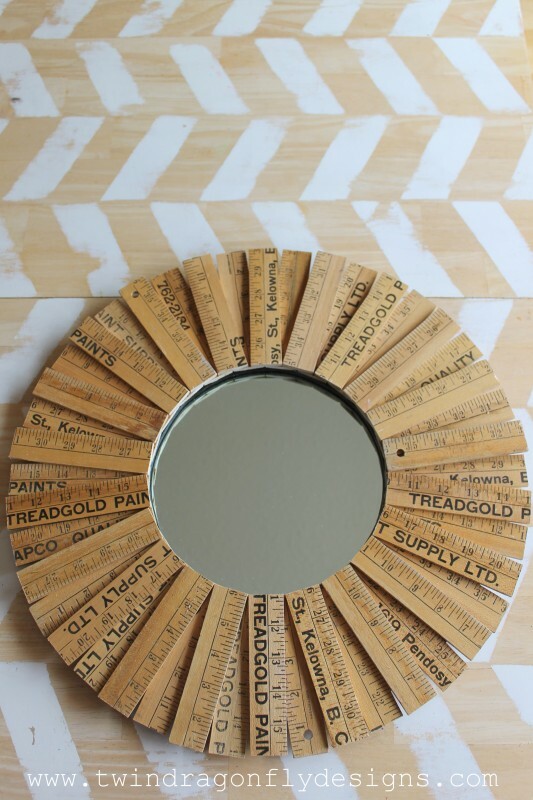 Place the first layer of yardstick pieces around the mirror, spacing them side by side at the edge of the mirror and an equal distance apart on the frame. Apply adhesive in a similar ring to the tops of these wooden pieces and layer the remaining yardstick pieces on top. The second layer will overlap the first layer and hide any of the remaining frame. Be sure to wiggle the yardstick pieces around to provide equal spacing and adequate frame coverage. Allow the glue to dry and you are all done! I absolutely love the new look of this mirror! It totally suites our eclectic home decor where pretty much every decoration is do-it-yourself. And I love that this mirror tells a story. A little piece of Kelowna history right in our home. 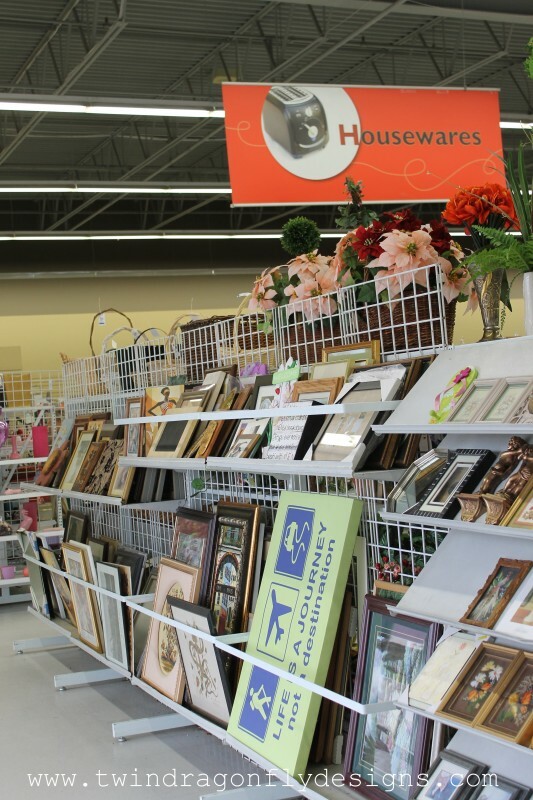 Have you turned any thrift store trash into treasure? Please share in the comments! I made a star using new rulers from home depot. I bet one could even buy new rulers and stain them to look older. I completely painted over mine. Thank you so much for linking up with us… Featuring you tomorrow! Love this project! I have a TON of vintage yard sticks I have been collecting to make things with! I want to do a few projects for my store for upsales and I think this would be a perfect addition!